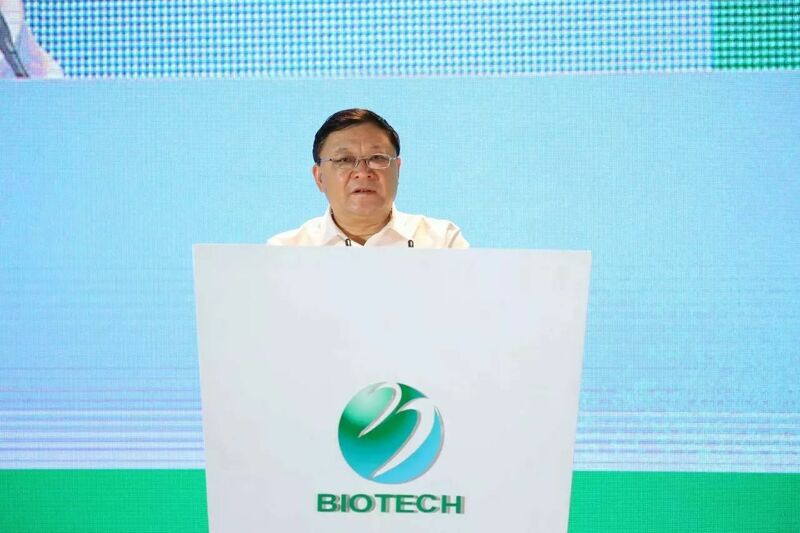 The opening ceremony of “2017 Shenzhen International Biotech Leadership Summit and Shenzhen International Biotech & Health Industry EXPO” was held in the Shenzhen Convention and Exhibition Center on September 21st. The opening ceremony was presided over by Li Tingzhong, Secretary General of the Shenzhen Municipal Government, and an opening speech was given by Ai Xuefeng, the Vice Mayor of Shenzhen Municipal Government. Wang Weizhong, the secretary of the Guangdong Provincial Committee and the secretary of the Shenzhen Municipal Committee announced the opening. As the most vibrant emerging industry in the world, it is expected that competition in the biotech and health industry will be fierce the future. 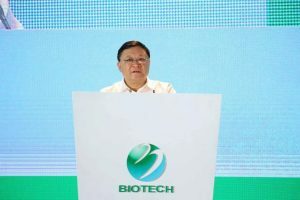 Biotech is the main direction of China’s strategic emerging industries. Shenzhen International Biotech Leadership Summit and Shenzhen International Biotech & Health Industry EXPO 2017 takes “Focus on the development of health, build new engine for the industry” as the theme, including two keynote speeches, two high-end dialogue, 12 professional forums and other key activities about Biotechnology, industrial development on hot issues, to carry out academic exchanges, policy seminars and industrial cooperation, accelerate the biological resources, science and technology, industry, capital integration, great development. Barry Marshall, an Australian physician, 2005 Nobel Prize Laureate in Physiology or Medicine, foreign academician of Chinese Academy of Engineering, gave a speech entitled “A Gold Standard for New Diagnostic Technologies for Helicobacter pylori,” to introduce the International diagnostic techniques of Helicobacter pylori. Rao Yi, Peking University Lifetime Chair Professor, Director of the Faculty of Science – Peking University, delivered a speech entitled “When the original research leads the application of innovative industries in China,” to discuss the development prospects of Chinese biotechnology and original research, and call for more biological innovation under the modern medical level. 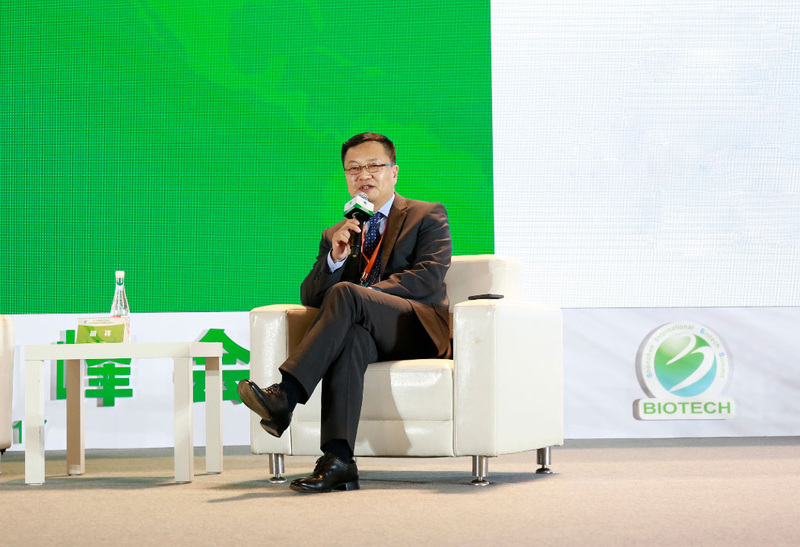 Hu Xiang, the president of Beike Biotechnology, led a discussion on the topic of “development of the opportunities and challenges of the big data on health and medical”. Dr. Hu talked about the trends around the domestic and international biomedical data development; discussed the hot issues on the development of the biomedical data industry such as sharing, transformation, data security, standard construction, social ethics, etc. ; explored the policies to fasten the development of biomedical data industry; to build academic exchanges, industrial cooperation, policy research and other comprehensive platforms to promote global biomedical data industry. In 2013, Beike was invited by the Shenzhen Municipal Government to participate in the preparation of the Shenzhen International Biotech Leadership Summit, which played a positive and important role in promoting the success of the 2014 Annual Conference of the BT Leadership Summit. Beike is a co-organizer as well as a participation of several high-end dialogues and multiple professional forums. After several years of development, Shenzhen International BT Leadership Summit has become the highest standard of biological and health conferences in China and receives a great response at home and abroad. 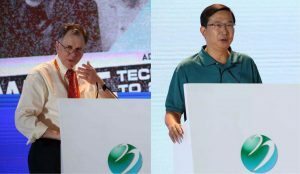 2017 Shenzhen International BT Leadership Summit brings in vane effect of biotech and health to promote on the long-term development of biotech and health industry in not only Shenzhen but also the whole nation.